Elevated between 3255 ft and 9843 ft, the Ski Resort is among the 15 highest elevated Ski Resorts in Switzerland. The vertical drop from summit to base is 6588 ft. 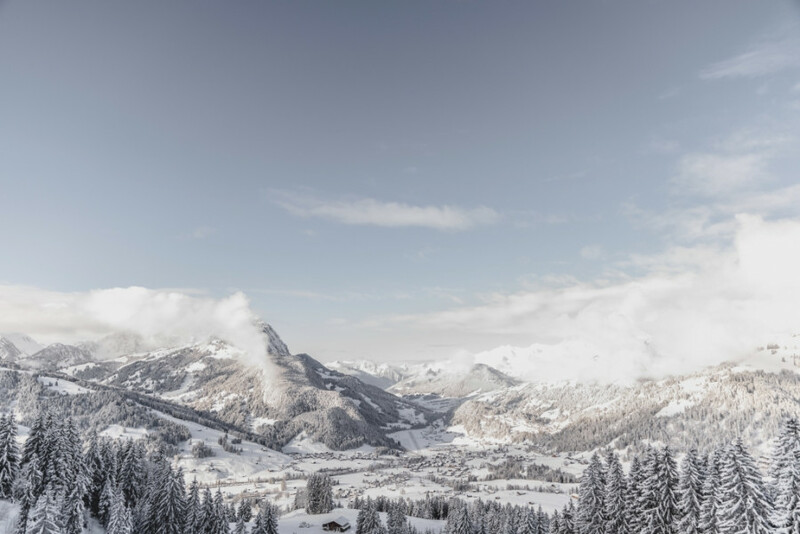 The average difference in altitude between base and summit of Ski Resorts in Switzerland is 2890 ft. Most runs are therefore relatively long. 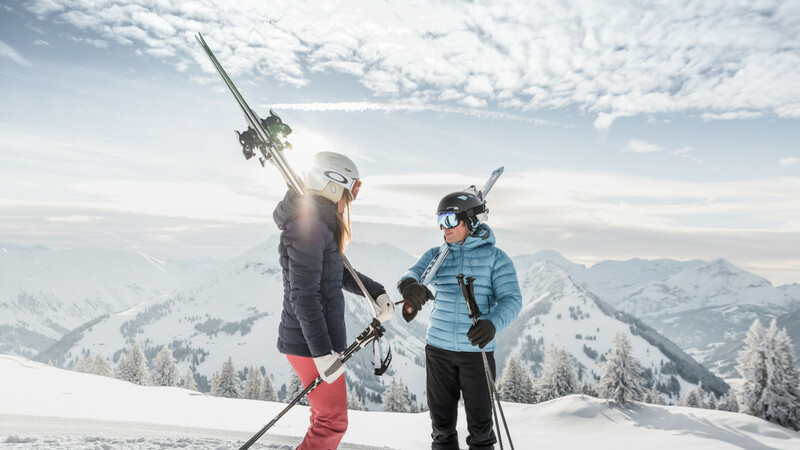 Gstaad Mountain Rides is among the 5 best rated Ski Resorts in the Bernese Oberland. It is among the 10 most family-friendly ski Resorts in Switzerland. Season starts on Dec 15 and ends on May 5 (141 days). Average season duration in Switzerland is 112 days. Average snow depth during the season (Dec 15 to May 5) is 69 " at summit elevation and 9 " at base elevation. Snow coverage is usually best during Oktober, offering an average snow depth of 114 " at summit elevation and 2 " at the base. 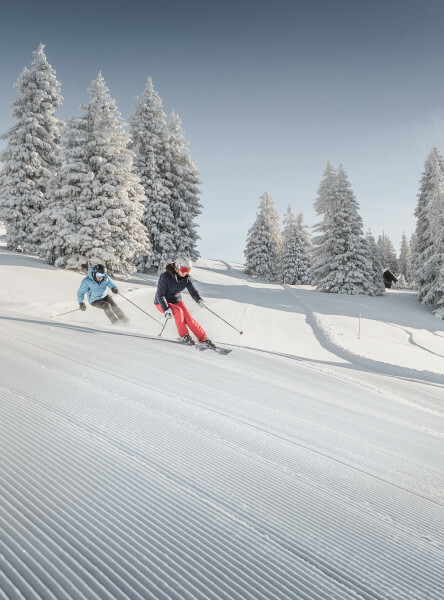 Therefore Gstaad Mountain Rides is among the 5 ski Resorts with best snow conditions in the Bernese Oberland. Gstaad Mountain Rides features 67 sunny days on average per season. 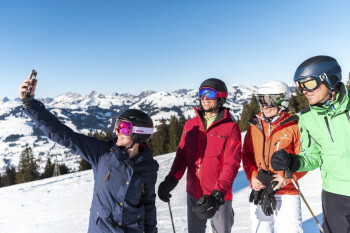 The average for all ski Resorts in Switzerland is 63 sunny days. April is the sunniest month with an average of 25 sunny days. This makes the ski resort one of the 1 sunniest in the Bernese Oberland. 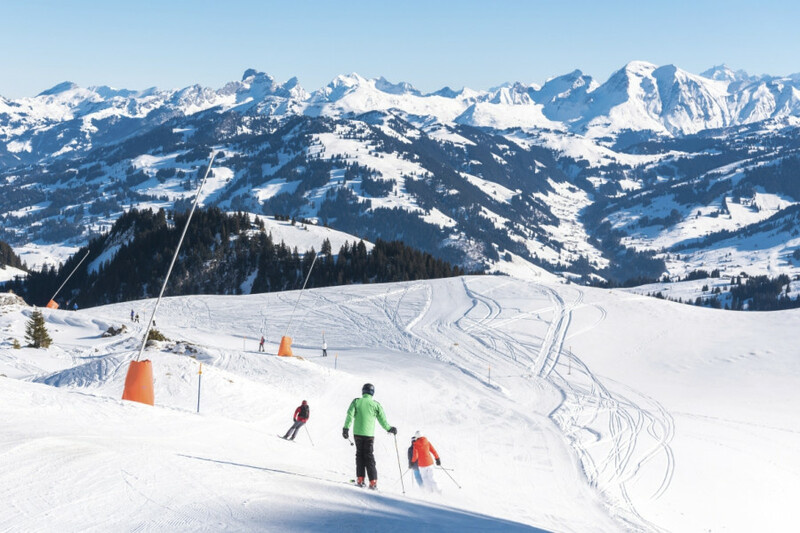 Offering 123 miles of slopes and terrain, Gstaad Mountain Rides is among the 10 largest Ski Resorts in Switzerland. 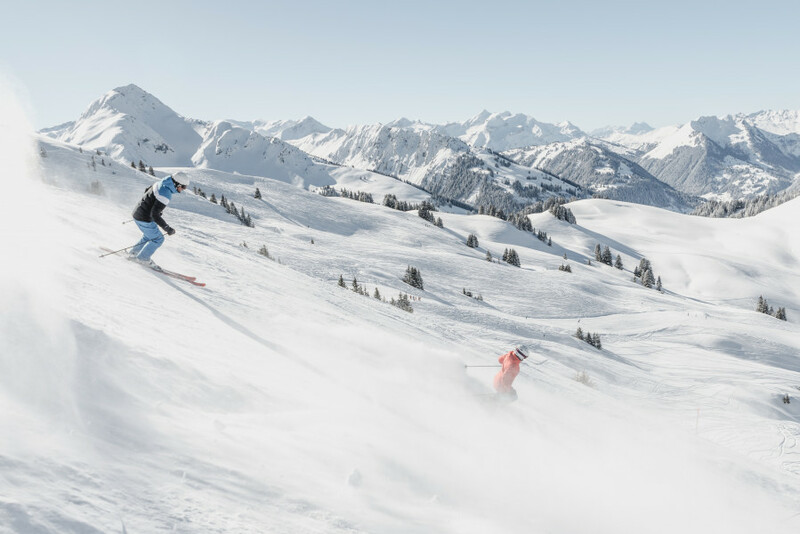 The Gstaad Mountain Rides offer pure skiing pleasure by being the gate to 220 kilometer (136 miles) of skiable terrain that suits every ability level. Its vast terrain seems to be endless as it stretches over nothing less than 10 peaks and lies between a altitude of 1000 (3280 feet) and 3000 (9842 feet) meter above sea level. The only glacier ski resort in the area of Bernese Oberland is well-know for boasting the best snow conditions, even in October. The resort separates in five sectors. If you decide for a ski pass that is valid for longer than two days, you can hit all of the sectors without any further charges. If you just want to spend one day in one of the sectors, there are day ski passes for each individual sector available. Children, under the age of 9 ski for free! 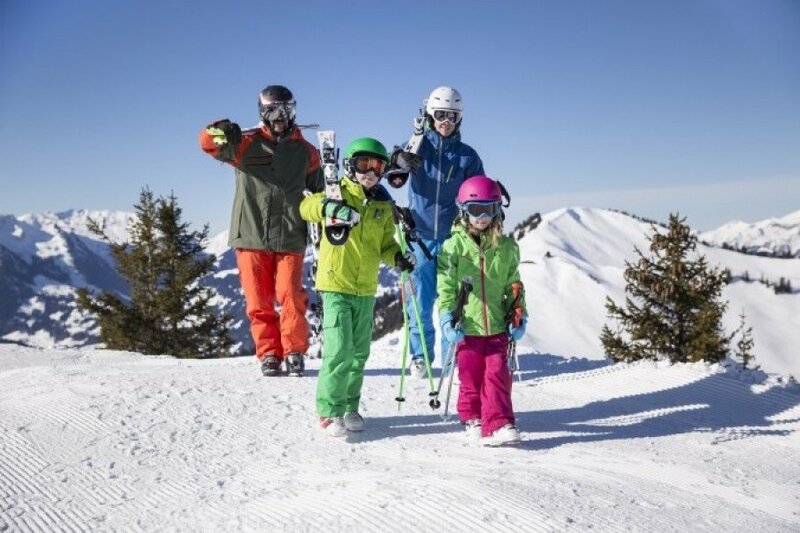 With the super pass you´ll get access to the ski resort Les Alpes Vaudoises and Adelboden-Lenk. That means the resort comes to a total of 620 kilometers (385 miles) of trails to the visitors disposal! The longest run is at La Videmanette and brings a length of 10 kilometers (6,2 miles). Follow from the summit down to Rougemont and enjoy the mostly blue marked trail with only a short part red for more advanced skiers. This way even beginners can try to ski this extra long skiing pleasure. If the hunger creeps up on you or if you surprisingly need a break in-between, welcome the countless mountain huts along the trails. The Wasserngrat makes even the best skiers think twice. 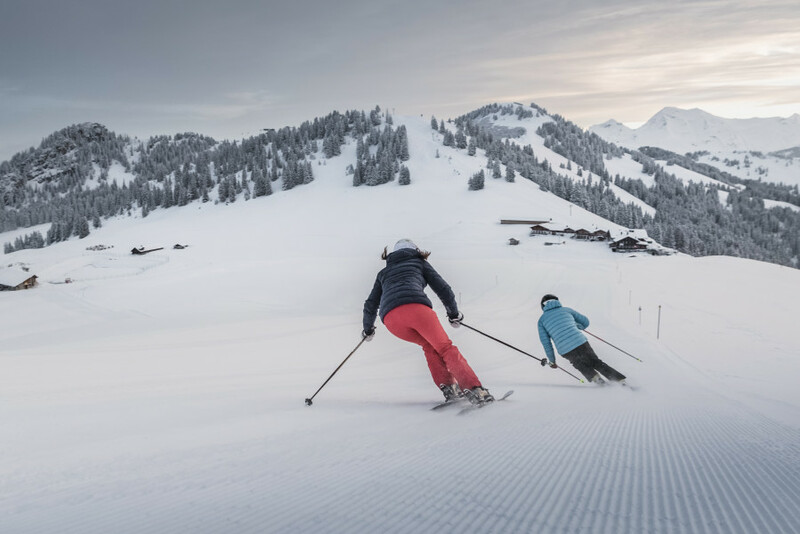 The 2,5 kilometer (1,5 miles) long black trail Tiger Run is on extreme skiers right and the toughest hill in the region of Gstaad. Get a world cup feeling by skiing down the Mike from Grüningen run (was twice world champion in giant slalom). Considered to be ideal for families is the Gstaader local mountain Wispile. It´s not just that it´s perfect for enjoying the beautiful trails but it´s also great for snow shoe hikes. Especially the panorama hiking trail along the Berggrats is well-known among locals and seasonnaires. You can also head to the toboggan run at Gsteig. Special skiing fun promises the glacier. The glacier area has a height of up to 3000 meters (9842 feet). Hence, you can always expect best snow conditions. Highlight here is the terrain park, where you can actually start practicing your tricks in April. Here are three lines for different levels plus tables, kickers and rails. The giant ski-jump ´Big Mama´ is awesome for experienced skiers. More terrain parks are at Hornpark and in La Braye. You can´t complain about the lunch options in the five sectors. 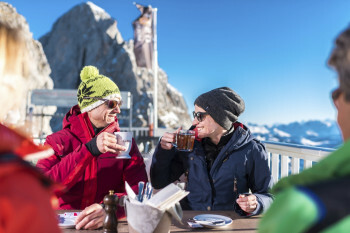 Around 20 mid-mountain huts and 20 snow bars welcome you with individual offers. Good food neeeded? Check out the Berghaus Horneggli. Try the cheese sandwiches and you´ll will rethink all the other cheese sandwiches you had in your life. The comfy Berghaus Wispile boasts a 360 degrees view while the Hamilton logde in Zweisimmen is more on the sophisticated side. The elegant restaurant has mostly local specialties on the menu. If you decide to come here for your ski vacation, then you can´t miss the Rinderberg Ronda. This ski circuit takes you on three mountains and through three valleys. Tobaggoning is a blast for the whole family and eight different runs please every speed-fan. Families find a perfect one in Sparenmoos and night owls can check out the full moon run at Wispile. Thrill-seekers can take the run by airboards what makes it extra fast. There are more than 30 winter hiking tracks in the area, where you get to enjoy the beautiful nature. Pink and yellow signage show you the way through the snowy landscape. Hop on a husky sleigh to explore the winter landscape in a different way. If this is still not enough action for you, get your adrenaline rush while ice climbing or paragliding. Everything is possible in this ski resort! Kick off your night by having a drink at Euterbar and Hornybar. After continue your night in the Igloo village bar which should be pumping by now. There are more parties in Gstaad and surrounding towns where you can have a blast. If you feel more like having some good cocktails definitely pay a visit to the Lobby Bar and Le Bar du Grill. And if your bed still isn´t beckoning you then the DiscoGoGreen and Split Clubbing are open late. Gstaad is one of THE hot spots for gourmets. More than 100 restaurants welcome with delicious treats and 18 of them already won Gault Millau points. The crème de la crème are restaurant Chesery and the Alpina Gstaad, that both can call 18 Gault Millau points their own. That doesn´t mean that the food at more rustic places like the raclette restauarant Fromagerie isn´t equally fantastic. The whole offer is rounded off by the Tea Room and countless coffee houses. Coming from Zurich take A1 towards Bern and follow A6 until exit Wimmis. Continue on B11 until you get to Gstaad. Coming with the train you´ll leave Bern behind you and get out in Spiez. From here you have to change into the local train to Zweisimmen and after get in the Montreux Oberland Bernois train to Gstaad. The next airport is Bern. But the airports Genf and Zurich are only 2,5 hours away.